"Spirituality in the Year of Mercy" Lecture given by Fr. Ron Rolheiser, OMI on Fri, November 11, 2016. Presented by the Bishop Keane Institute, a Ministry of Immaculate Conception Catholic Church. About Fr. Ron Rolheiser, OMI: Ronald Rolheiser, a Roman Catholic priest and member of the Missionary Oblates of Mary Immaculate, is President of the Oblate School of Theology in San Antonio, Texas. He is a community-builder, lecturer, and writer. His books are popular throughout the English-speaking world and have now been translated into many languages. His weekly column is carried by more than 80 newspapers worldwide. 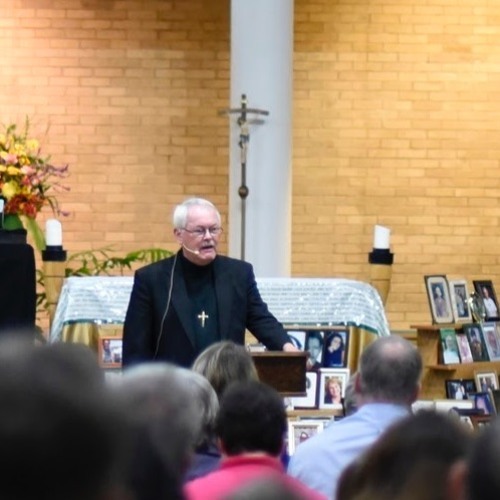 Prior to this present position, he taught theology and philosophy at Newman Theological College in Edmonton, Alberta, for 16 years, served as Provincial Superior of his Oblate Province for six years, and served on the General Council for the Oblates in Rome for six years. He has been at Oblate School of theology since 2005.